Love this toss and bake meal! Remove the casing from the bratwurst and cut into 1-inch slices. 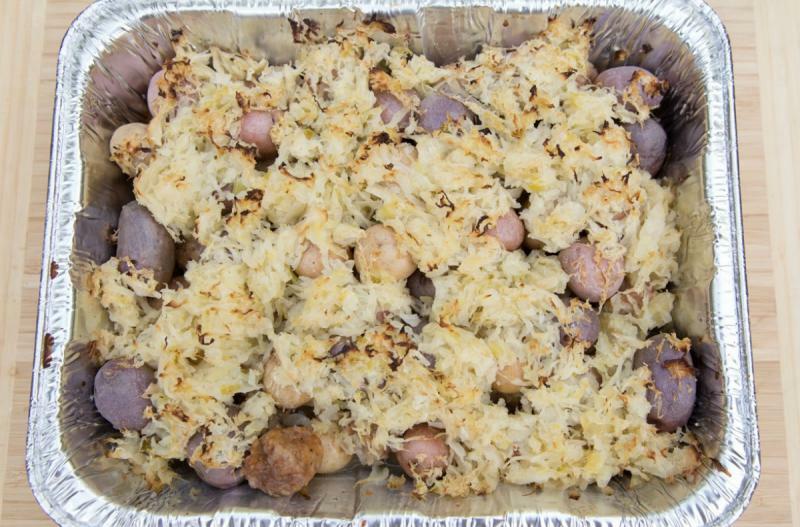 Toss the potatoes and sausage pieces into the bottom of a 9x13-inch baking dish. Drain the liquid from the sauerkraut package and add on top of the potatoes and sausage. Add salt and pepper. Cover and bake in the preheated oven for 35 minutes, or until potatoes have softened. 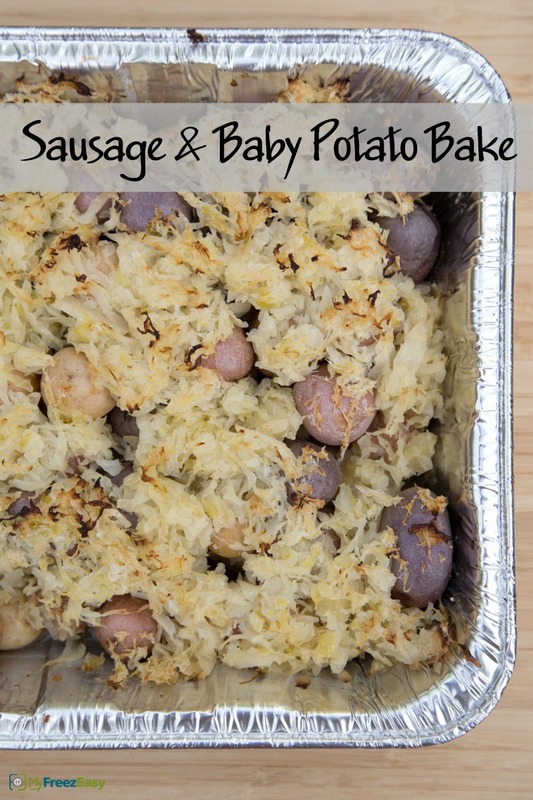 Serve Sausage & Baby Potato Bake with salad. Remove the casing from 2 lbs. of bratwurst links and cut into 1-inch slices. Thaw and bake at 375 F for 35 minutes, or until potatoes are softened.